Is there any way to get hens to eat more corn? They don’t seem to be eating much of it out of the feed I’m giving them, and the eggs yolks are fairly pale and look anemic. Corn is a treasure and a nuisance. It’s a cheap and easy way to add a big punch of immediate energy (carbohydrates) to food products and animal feeds. But, like most things quick and easy, it’s followed by a wee thundercloud of doom: Its nutritional benefits are very low. 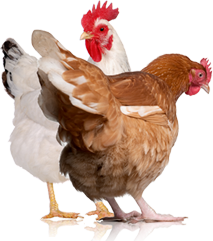 Besides a burst of energy, corn has very little else that chickens need. A diet heavy on corn and other empty carbohydrates can leave chickens obese and undernourished, contributing to general ill health and disease. As long as corn is part of what’s considered a complete feed, the consumption is fine, but if it’s largely left uneaten, perhaps it’s the wrong feed or just the wrong feed for your flock. It’s easy, especially for novice chicken keepers, to mistake feedbags at the store and return home with the wrong product. Even after five years of keeping chickens, my husband ran my errand and bought the wrong bag of feed. He was shocked to learn that scratch grains (chicken scratch) isn’t chicken feed at all, but chicken snacks. In his defense, the chickens are my hobby not his, and it’s an easy mistake to make. Always read the bag to be sure you’re buying the right product—the bag will note if it contains a complete feed or not. Scratch is not an appropriate source of nutrition—it’s mostly corn. Chickens can be particular about food. 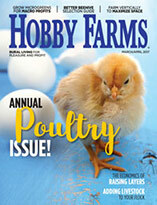 I’ve talked to a lot of people about their chickens, and preferences seem to vary by flock more than by individual bird, even in mixed-breed flocks. If you feed scratch, even appropriately, and chickens leave the corn, they probably prefer the other grains. Chickens are messy, picky, pecking eaters, and they waste a lot of feed. One way I tackle food waste is by feeding them much less at one time. Since winter ended, I’ve stopped giving them constant access to feed in the PVC feeder I built last summer. They get one or two scoops of feed in the morning, free-range kitchen scraps throughout the day, and finally eat one or two scoops of feed before bed—they get fed when they’re hungry and are less prone to wasting it. However, this is a warm weather schedule. Cold months require more energy and more feed, including scratch grains before bed. Complete feeds that are made up of identifiable grains (not processed pellet or mash feeds) leave much of their nutrition in the literal dust. Many times, I feed this type of feed to my flock as “oatmeal” with water added. This forces the hens to eat the micronutrients they would otherwise leave behind. And it’s great for getting both feed and water into the flock at the same time, especially for my broody Australorp. Pale yellow egg yolks aren’t attributable to a lack of iron, as the reader suggested anemia. To get a deep-orange egg yolk, chickens need to eat their greens, like grass, clover and even plantain (best eaten after mulched by the mower). Aggressive free-rangers will produce eggs with the darkest yolks. Free-range hens that are, perhaps, a tad lazier and prefer feed will have the palest yolks, even if they are eating a complete commercial feed. 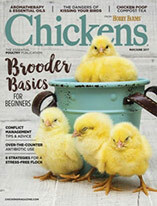 Confined backyard chickens, like lazy free-rangers, will also have pale yolks unless they are supplemented with greens. We shouldn’t stop offering feed containing corn to our chickens, but it is a good idea to round out the diet if you have nutrition concerns. Like human food, nutrition can never be complete if it comes in a bag. I can’t get the health benefits of fresh spinach from a box of cereal, and neither can my chickens. They need their greens, too. 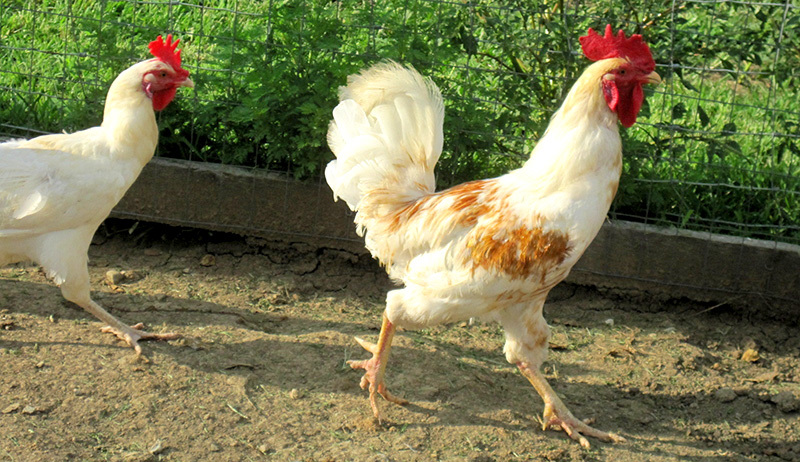 If you cannot free-range your flock, give grass clippings to your chickens in their run. They’ll forage through it and kick it around, satisfying natural behaviors. Whatever they don’t eat will dry, break down and become part of their run. You can also construct a grazing frame inside the run to grow greens for them throughout most of the year. Egg yolk characteristics are good indicators of your flock’s nutrition and overall health. You’ll notice each egg varies, even when each hen is offered the same lifestyle. Studying your flock’s eggs is another fun way to investigate personality differences and individual habits.